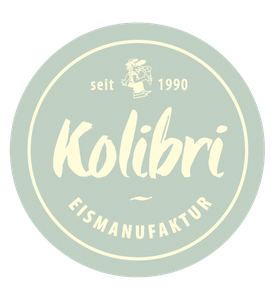 Quer durch den Gemüsegarten - eismanufaktur-kolibris Webseite! Basilikum, Spargel, Minze und Rosmarin fanden Einzug in unsere Eisvitrine. Den meisten, die sich trauten, haben die neuen Sorten ausgezeichnet geschmeckt! This paragraph provides clear idea for the new visitors of blogging, that truly how to do running a blog. Hello there! This is my 1st comment here so I just wanted to give a quick shout out and say I truly enjoy reading through your blog posts. Can you suggest any other blogs/websites/forums that go over the same topics? Many thanks! What's up, the whole thing is going nicely here and ofcourse every one is sharing information, that's truly excellent, keep up writing. If some one desires expert view about blogging and site-building after that i propose him/her to pay a quick visit this web site, Keep up the fastidious work. It's a pity you don't have a donate button! I'd most certainly donate to this superb blog! I guess for now i'll settle for bookmarking and adding your RSS feed to my Google account. I look forward to brand new updates and will talk about this site with my Facebook group. Talk soon! It's remarkable to go to see this web site and reading the views of all colleagues regarding this piece of writing, while I am also keen of getting knowledge. Asking questions are really fastidious thing if you are not understanding something totally, except this paragraph presents nice understanding even. What's up, the whole thing is going fine here and ofcourse every one is sharing facts, that's actually fine, keep up writing.